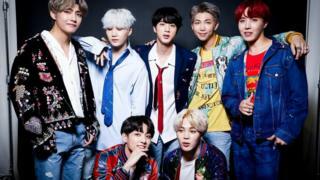 Korean K-Pop superstars BTS have sold out Wembley stadium in just 90 minutes as part of their first world wide tour. 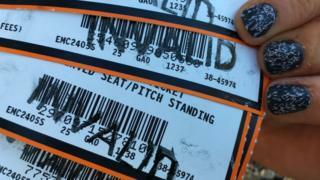 But within minutes of their release, tickets appeared on ticket re-sale sites for much higher prices. On re-sale site, Stubhub, for example, there are tickets on sale for over £3,000. That's despite the original cost of the tickets being between £50-175, with special sound-check packages setting fans back just over £200. How did BTS become so successful? Re-sale ticketing - also known as secondary ticketing - is when companies offers fans the opportunity to re-sell tickets which have been bought from official concert organisers. In its most basic form, it offers fans the chance to re-sell their tickets if they no longer want to go to a music or sports event. However, in recent years the UK government has clamped down on secondary ticketing sites for misleading customers into paying more money than they should. Re-sale site, Viagogo, for example, was taken to court for misleading customers by the group in charge of fair competition in business. Last year, pop star Ed Sheeran made the decision to ban all secondary ticketing from his UK tour because he felt fans shouldn't overpay for their tickets. 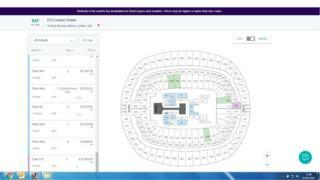 Newsround has contacted the concert organisers, Live Nation, Stubhub and Viagogo for comment. A spokesperson from Viagogo said: "Viagogo does not set ticket prices, sellers set their own prices, which may be above or below the original face value. The reality is that any tickets listed at silly prices rarely, if ever, sell. All tickets on Viagogo are valid and it is perfectly legal to resell a ticket or give it to someone else if you want to." They are not a good band so why the fans? Seriously they (no offence) look like mannequins and sound like mice (no offence). That's soo much... BTS are very popular and all, but that's TOO MUCH. ps. what does Invalid mean? !